Boomplay, Africa's leading music streaming and download service, and Universal Music Group (UMG), the world leader in music-based entertainment, have announced the signing of a landmark licensing agreement covering multiple markets within Africa. UMG is the first major music company to license its catalog to Boomplay, which has quickly established itself as the most popular streaming service in Africa. Under the terms of the multi-year agreement and effective immediately, Boomplay will distribute music from UMG's world-renowned labels through its streaming and download platform in Nigeria, Ghana, Kenya, Tanzania, Rwanda, Uganda and Zambia. 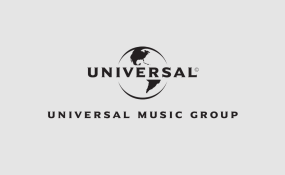 Users will now have access to UMG's extensive catalog of both local and global recording artists including Eminem, Tekno, Post Malone, Nicki Minaj, Lady Zamar, Lil Wayne, Bob Marley, Brenda Fassie, Wurld, J.Cole, Dr. Tumi, Nasty C, 6lack, Diana Ross, Hugh Masekela, Jon Bellion, Larry Gaaga, Tamia, Maroon 5, Aka & Anatii, TJAN, Jah Prayzah, Nonso Bassey, Mafikizolo, Cina Soul, Ella Mai,and Mr. Eazi. With the launch of Universal Music Nigeria -- a new division within Western Africa to provide artists with comprehensive opportunities throughout the region and to provide pan-African talent the best possible launch pad for wider international success -- UMG is accelerating the company's focus on growing the entire African music ecosystem including recorded music, music publishing, production, live events, brand partnerships and merchandising efforts. In making the announcement, Universal Music Group, Executive Vice-President, Market Development Adam Granite said: "We're looking forward to working with Boomplay as we provide our African artistes a range of creative, marketing and promotional resources to accelerate their careers within this vibrant and growing music market. This agreement will help UMG artists to reach new audiences, whilst boosting the African streaming experience to benefit both music fans, artists and songwriters." "This partnership extends our reach and makes our artists' music accessible to millions of African music lovers," said Ezegozie Eze Jr., General Manager, Universal Music Nigeria, "We are delighted to be the first global music company to partner with Boomplay and look forward to bringing the extraordinary creativity of our artists to as many Africans users as possible." Also commenting, Boomplay's CEO, Joe He, said that Boomplay will continue to forge partnerships that enriches the digital ecosystem and connects music lovers with their favourite songs anytime and anywhere. "Boomplay is determined to continue meeting the music passion point of Africans in a legitimate way, especially Boomplay users, and teaming up with a major music company in the global music industry like Universal Music Group, offers yet another significant opportunity for us to do so," he said.